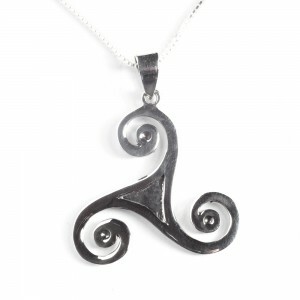 To the Celts the spiral held a very significant meaning and it is the oldest of all the Celtic symbols. The Triskele, or triple spiral, originally represented the Triple Goddess – namely the three generations of womanhood being the maiden, mother and crone. 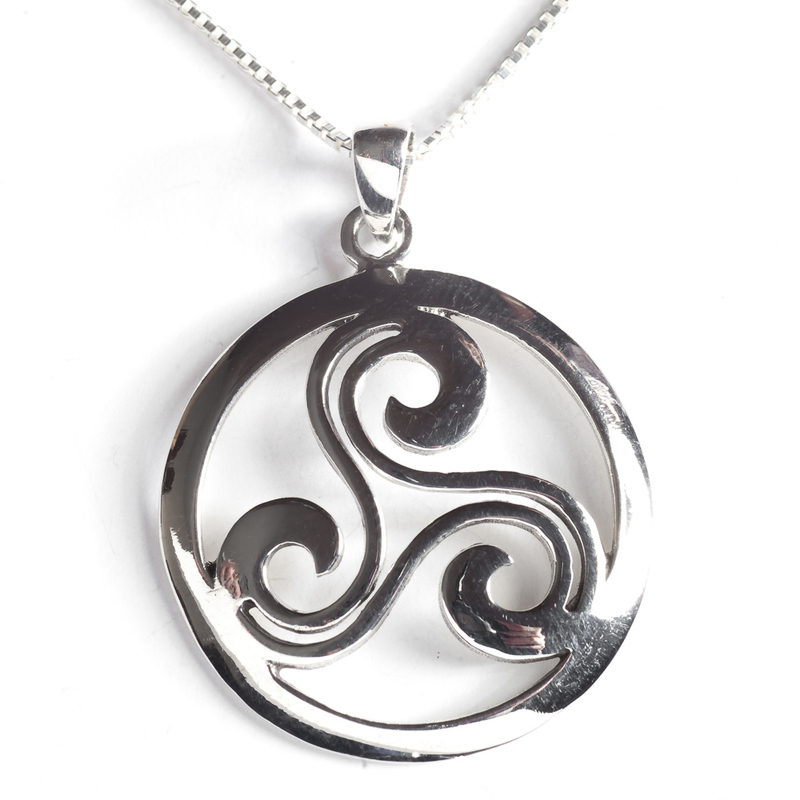 The Triskele was also known to represent the elements – air, water and earth. It has also been associated with the three lunar stages of waxing, waning and full moon. 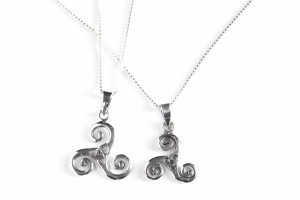 With the advent of Christianity the Triskele’s meaning changed and today it is widely recognized as being indicative of the power of three – The Father, The Son and The Holy Spirit. 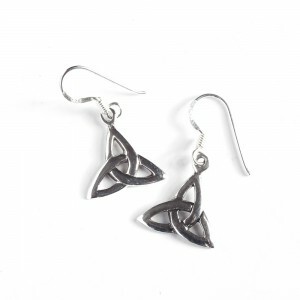 These small Triskele earrings are popular gifts for Confirmation and First Communion. Note also the Trinity knot in the center of the drop earrings. 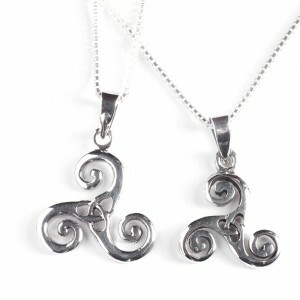 They match two of our Triskele pendants. 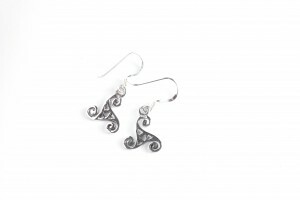 They are handcrafted in .925 sterling silver. This is a small pendant and perfect for the little ones or “tweens”. The three legged spirals are beautifully formed and, if you look carefully, you will discover a Trinity knot at its epicenter. 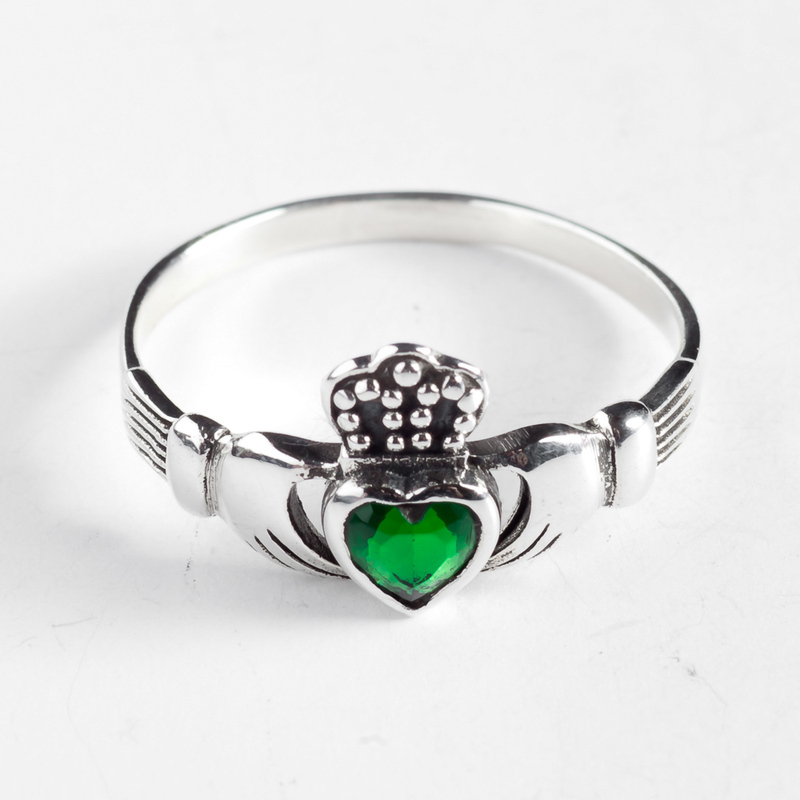 This is a very popular choice as a Confirmation or First Communion gift. 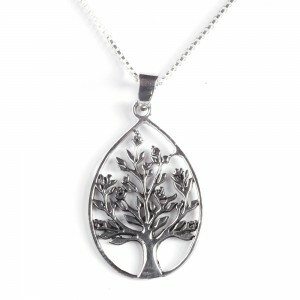 It is handcrafted in .925 sterling silver. 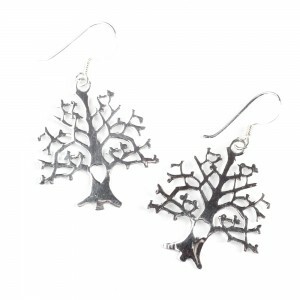 These Tree of Life earrings are very unusual and fun! Can you spot the four birds and the heart in the design? They are handcrafted in .925 sterling silver. A matching pendant is available. 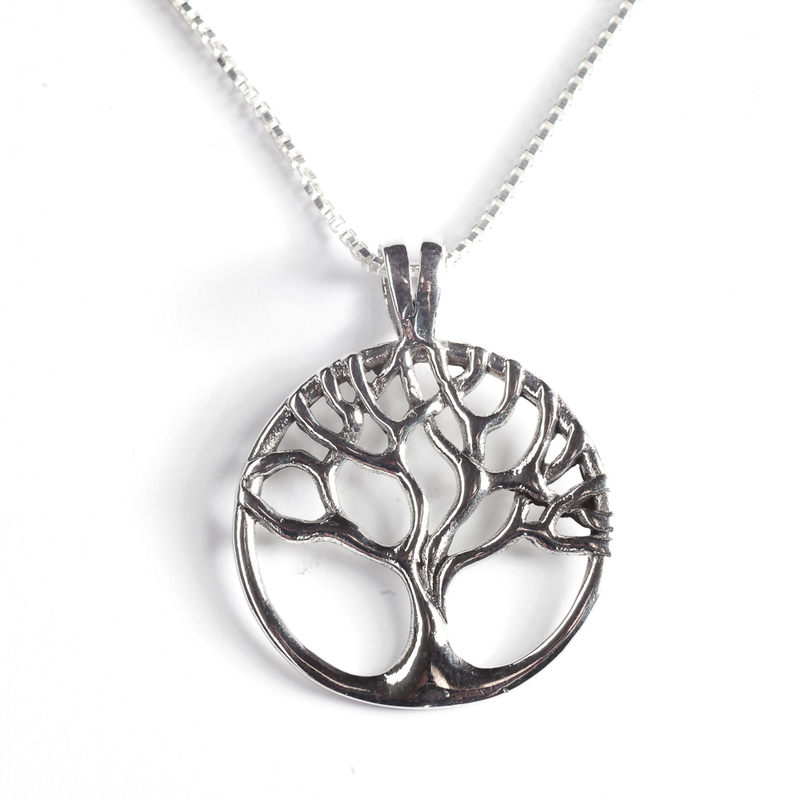 This teardrop Tree of Life pendant is a favorite. The branches and leaves are very realistic. 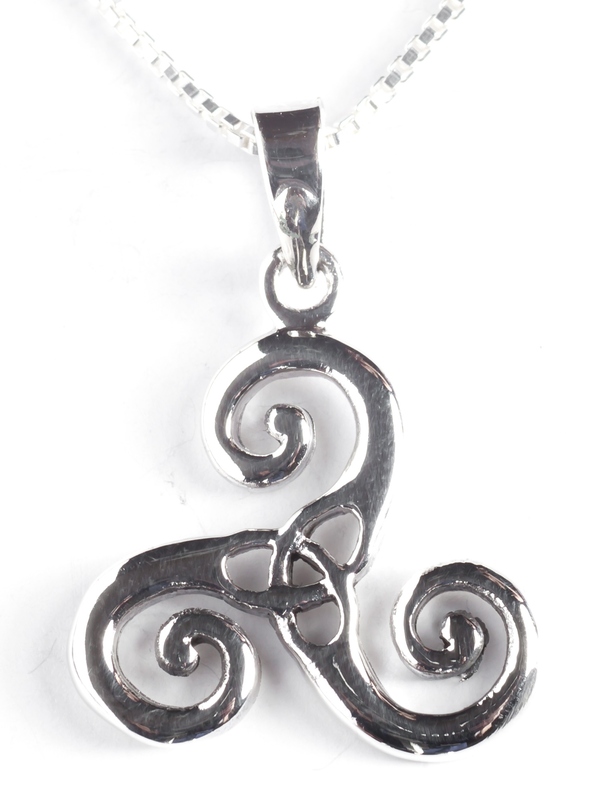 The pendant is handcrafted in .925 sterling silver. Matching earrings and several chain options are available.